Your work is so beautiful Helen! It's no surprise that you have been snapped up by all these publications and that your books have been so successful. 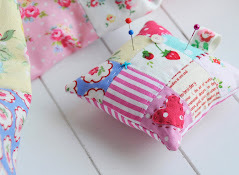 The little pincushion in your first photo is the sweetest thing!!! 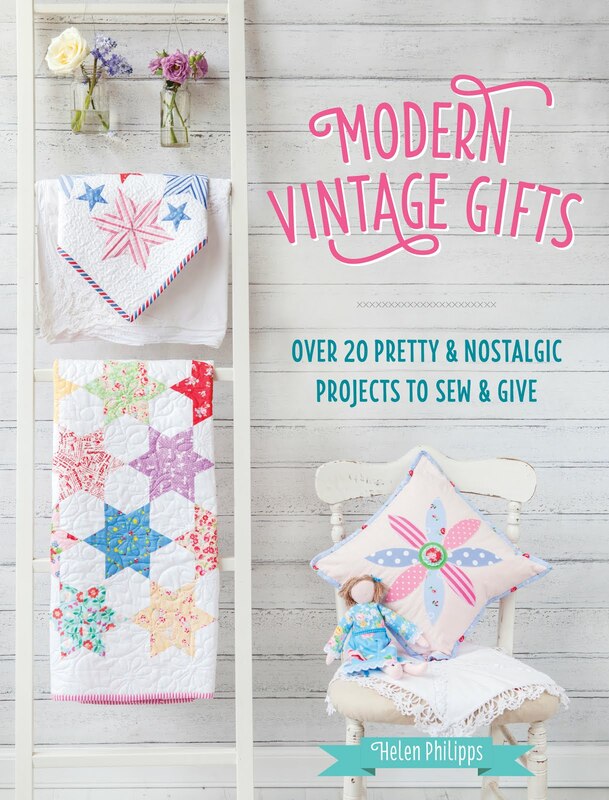 I used to buy Cross Stitcher and all the other magazines tewnty years ago, and also saw the advert for designers, I was going to do it because I abolutely love samplers but never sent it away becaue I didn't think I was good enough! Have you ever wished you tried...........I regret it now but its too late! I love your needle roll, and the hanging rose and strawberry. your designs must have been such an inspiration over the years helen, even now they're 'new' and beautiful to see ;0)...such a wonderful talent!! They also sell it in the Netherlands. And you don't need to know how to read Englisch to stitch. I will look out for your work the next time I buy the magazine. 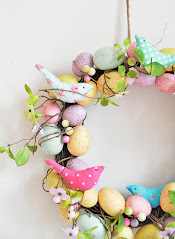 I love your pretty designs! I was a crossstitcher years ago, and after discovering your books I have been at it again. 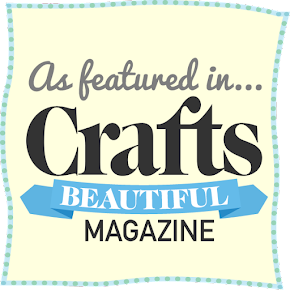 Your work is always so pretty and inspiring Helen and resulted in me recently buying my first Cross Stitcher magazine which I really enjoyed...You are a lovely, talented lady and truly deserve all your success! 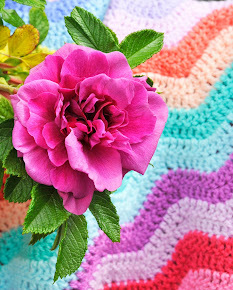 I love all your pretty cross stitch designs, that rose is very beautiful. I had a little go just before christmas with cross stitch and can see it can be soothing but very addictive! Dear Helen, you make so beautiful things and I'm sure that there are so many who have found inspiration from you! Always so talented, sweet and beautiful! I was a big fan of doing cross stitch in the 90's as well. Thanks for the update on the magazine. It does look new and fresh. I will have to check it out. Sounds like you have had a fun freelance career. 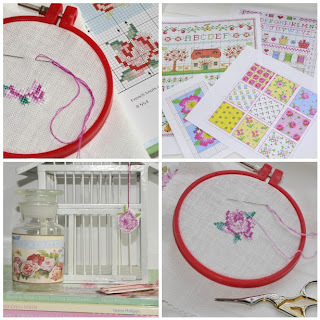 I collect vintage embroidery and do tend to love the cross-stitch designs. There are some cute vintage pillows out there with roses on them, children's bibs and other linens. I hope you find some nice examples to inspire you! So nice to be back and enjoying such a lovely post. All your x-stitching is so beautiful. I was also part of the x-stitch world back when the kids were young and everything had a motif on it! Many a sampler I counted and crossed. I have them somewhere. I love the looks of all your books. I will try to get my hands on the magazine! 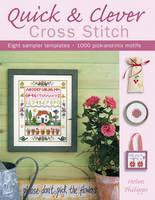 I used to buy Cross Stitcher, and did a lot of cross-stitch in the past, but not any more. I seem to be too impatient for it now, but it is a very relaxing passtime. I sometimes make my own designs for a special occasion, but have never had anything published. 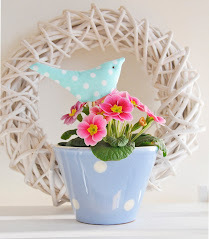 Your designs and pictures are lovely. Congratulations to you, Helen, and also to Cross Stitcher magazine! 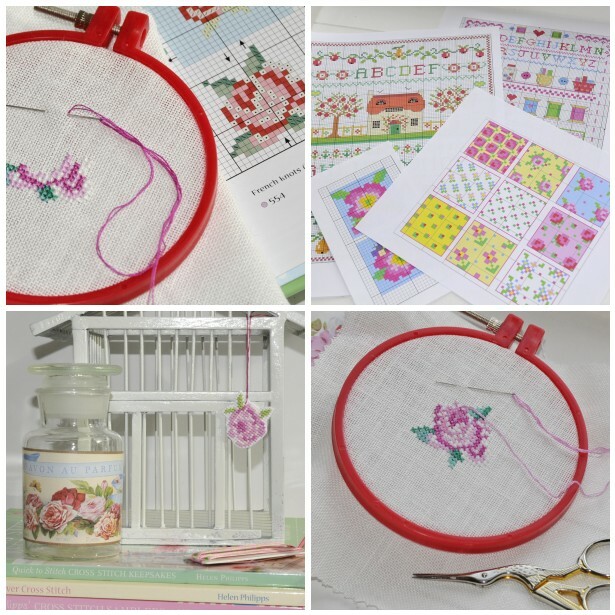 It's very inspriring to see just how contemporary and sophisticated the cross stitch can be in the hands and eyes of a creative lady like yourself. you are a complete and total inspiration to me. and i have just a twinge of 'what if?' or 'why didn't i'. not that i am anything at all the creative one you are, but i love how you took the chance and then made all this happen yourself. i wanted to ask you, do you use a magnifing lamp? and if so do you have one you recommend? my eyes are not what they were in the 90's and i do need some help now. 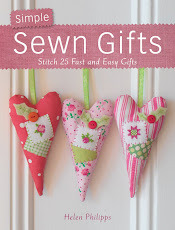 Oh they are all lovely, your a great stitcher. 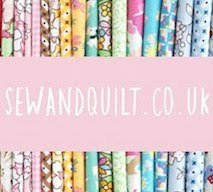 I had no idea that you had written so many books and were famous :0 I wish you lived around the corner - I'd love a natter about your surface pattern designing days! Interesting to hear some of your journey. Have a fab weekend. Это восхитительно!Ваш пост приносит счастье и радость во все наши блоги! 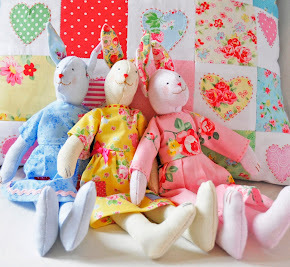 Helen, so cute things you made! 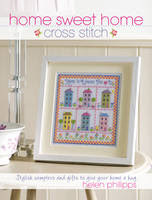 Love`em all :o) You always inspire me :o) Your cross stitched motifs are ADORABLE! I have literally just bought this magazine for the first time this evening! I haven't cross stitched since school, but I am inspired by all the beautiful projects to learn! Congratulations Helen! I didn't realise you are a celebrity....to have a book published. That's quite something. 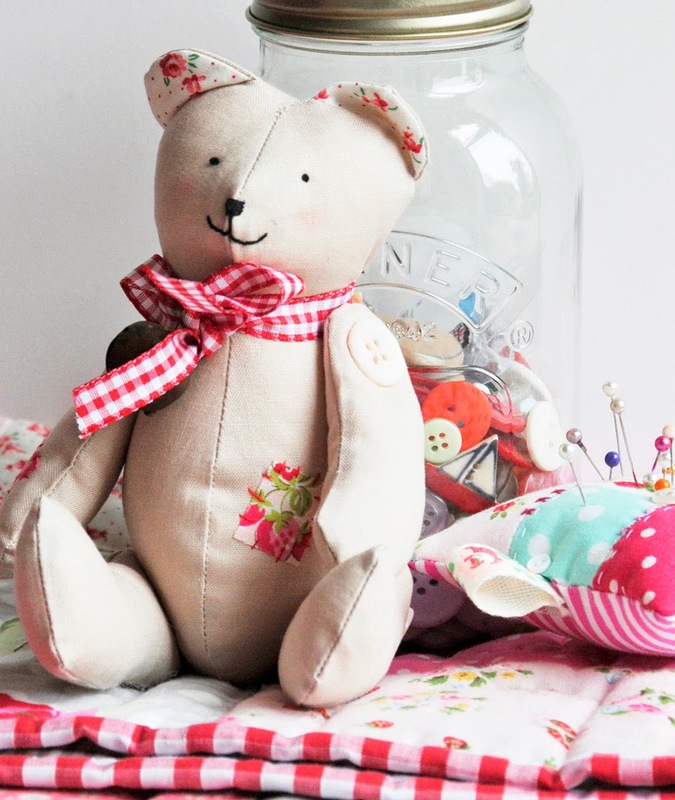 You are really talented; to sew, knit & embroider. 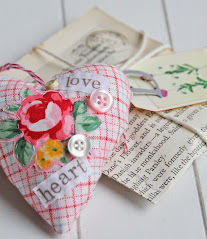 Love the little rose you just made and the sampler bag. They are both very pretty! 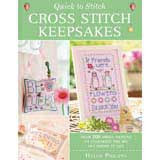 Absolutely love your cross stitch tags and charms ... perfect for decorating gifts for mother's day and easter. Beautiful pictures as always. Your blog is always a delight to visit. Oh my goodness,is there no end to your talents?! It's all fabulous. 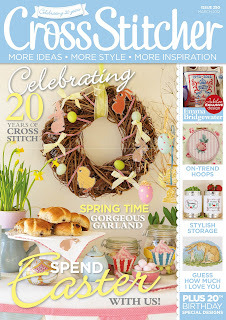 I identified you as a cross stitch designer before I came across your blog. Therefore it was a lovely surprise for me to catch up with your news. I remember purchasing a few of your charts when you sold your designs on your website. I hope that you continue to be busy and happy working with all the different mediums which you work with. I have nominated you for the Versatile Blogger Award. You are listed on my blog today with a link to your blog. Congratulations! It snowed, it rained, it blew, and then I found your lively colours. Have a fabulous weekend, Helen. Thank you, dear Helen, for sharing some of your career steps! It's not only interesting read but also very inspiring! And those books...I am very impressed (but not surprised, your work is adorable) - fantastic! You are so creative and I love your designs. Right, I've only gone and bought it!!! I haven't cross-stitched for absolutely ages but that little rose was just too much to resist. I'll keep you posted! You are an inspiration my friend. 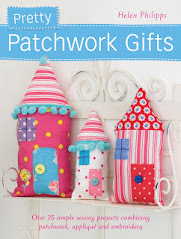 Beautiful cross stitch pin cushions Helen - so pretty.It must have been a lovely way to spend time and be paid for it whilst your children were growing up! Dear Helen, it was really fascinating to read about your work and how you got started.It must be a lovely job, but you must have to be very disciplined. Everything you make is so beautifully finished. Congratulations on such a long and wondrous career! And fun to boot! 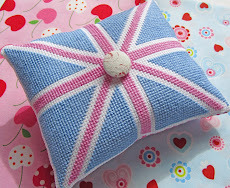 Oh, I just spent the day with mum making a cushion for a cross stitch I made, I love to do all sorts of croos stitch things. A true inspiration is what you are! to have worked as you have for all the magazines and your lovely books is such a great achievment and so well deserved. I love the sound you new ideas to mix your styles together, they will be a treat to see. Have a happy rest of the week Helen,and enjoy the lovely sunshine while it lasts. You are such a creative woman! 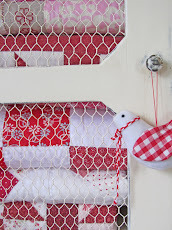 Always so much inspiration here...I love those small cross stitch hangers/tags.